Yeezy Season 2 came and went, and if you missed out, we not only had a full recap, but broke down all the sneaker news at the show, and got a ton of great street style photos of well-dressed attendees, including famous faces like Drake. In the aftermath of the show, the Internet had a field day with what they thought the clothes looked like, but Mr. West had created a fashion stir nonetheless. Ever since we got a closer look at the collection, we've analyzed all of the pieces and realized that there are plenty of things currently available that offer up a similar aesthetic, and judging by the prices of the upcoming Yeezy Season 1 pieces, won't be as much of a drain on your wallet. Just like the last time rounded up lower-priced options for Kanye West's last collection, we're offering the same service now. 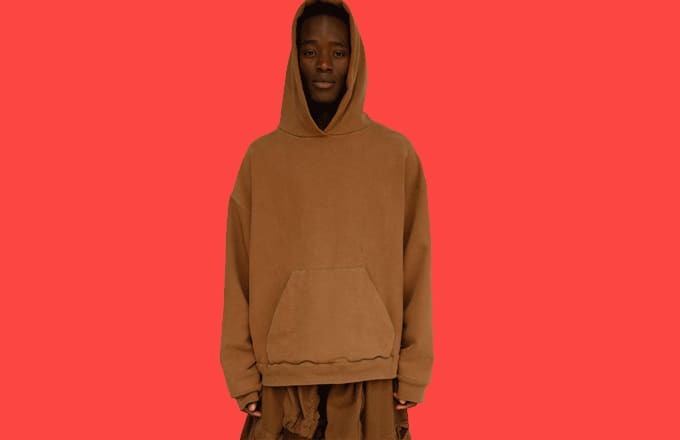 Here's An Affordable Version of Kanye West's Yeezy Season 2 Collection.